Welcome to Asklepios, a loosely organized group of researchers dedicated to high quality integrative health practice research. 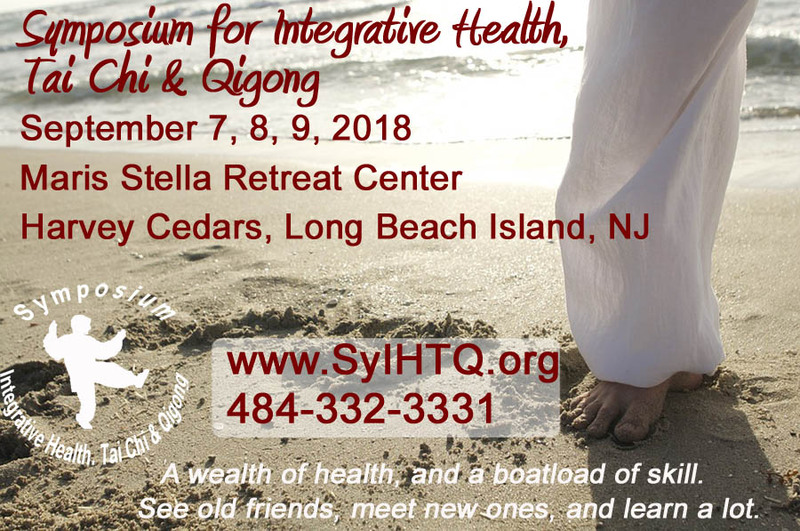 Don't miss the truly revolutionary yet fun-filled Symposium for Integrative Health Tai Chi Retreat on Sept 7, 8, and 9, 2018, held at Maris Stella Retreat Center, Harvey Cedars, Long Beach Island, NJ. Three days of health seminars, research presentations, martial arts workshops, spiritual retreat activities. Academic research presentations and potluck dinner on Friday evening. Scrumptious formal banquet on Saturday evening. Meet fellow practitioners from all over. Fabulous renowned workshop leaders Saturday and Sunday. Qigong on the beach at sunrise and on the bay at sunset. Sponsorships and ads in the program are available. Copyright 2015 by HPL 501c3 Institute. All rights reserved.